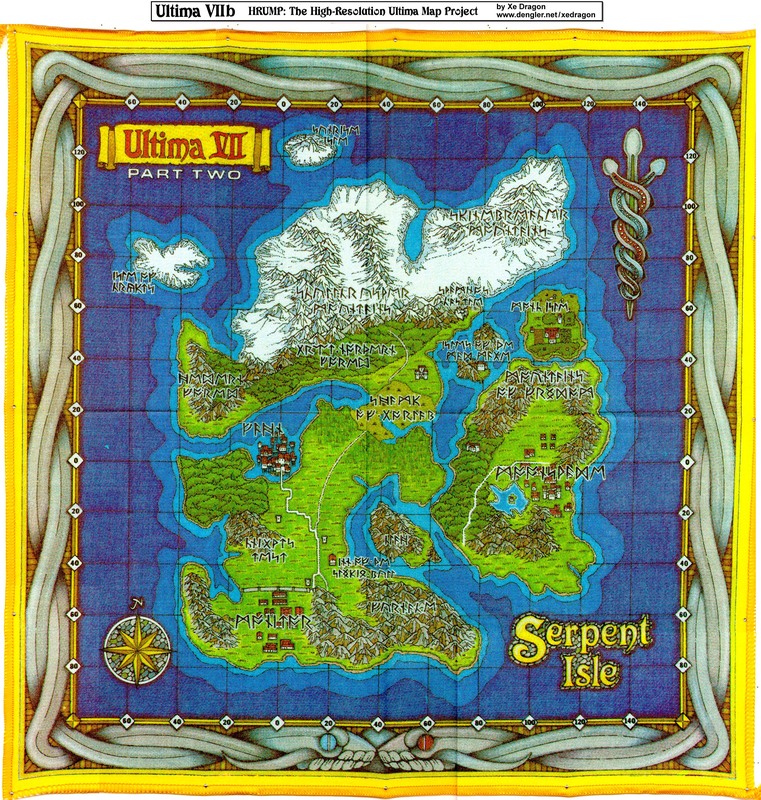 This is the original guide to playing the Complete Ultima VII Part 2 which is the Serpent Isle and Silver Seed. Includes original images and the reference manual. Comes with "Behind the Serpent Pillars" book, other documentation and map. Download it now! 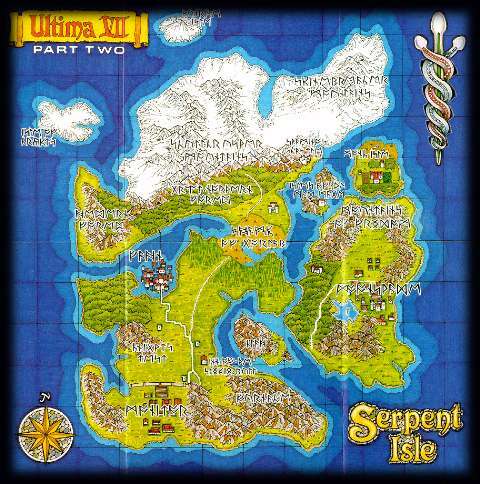 This is the original guide to playing the Complete Ultima VII Part 2 which is the Serpent Isle and Silver Seed. Comes with "Behind the Serpent Pillars" book and other documentation . Download it now! Contains all the spells, names and even the description of the reagents. Similar to the PDF manual, but converted. Scanned version of the map. This map was screen-shot from the game and English text was added to pinpoint places like the Gorlab Swamp, Moonshade and more! High resolution scan of the map that comes with the game. From HRUMP. Is this a cool file? Nope, I don't think so. But since it is EVEN in the Old Ultima Archives (hosted by Origin! ), then there shouldn't be any problem here too. This document gives the answers to the questions asked in Serpent Isle.